It had been a while since I fished by night for sea trout below Innishannon bridge, so my mind was focused on catching these enigmatic fish once again in the darkness of night. I checked the tide timetable and low tide was 12a.m. Perfect! 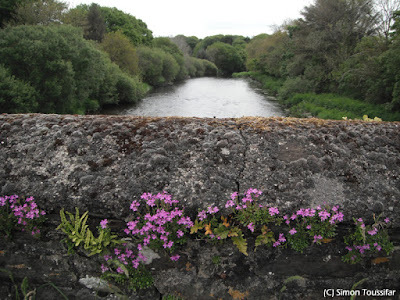 Innishannon is a tidal part of the Bandon River and is best suited for fly fishing for sea trout and salmon at low tide. 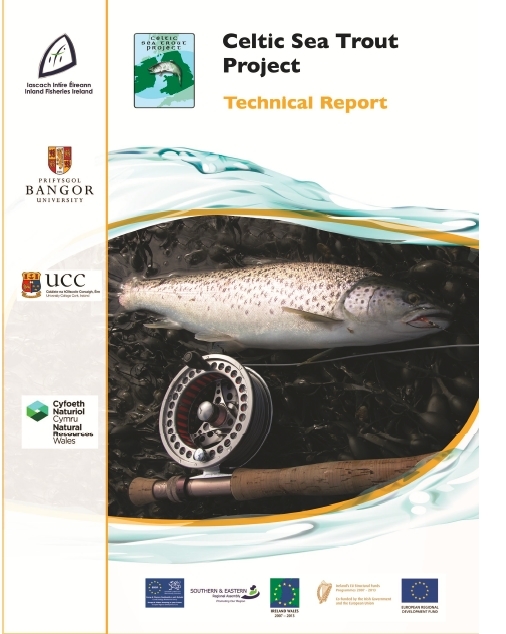 The stretch is free to fish below the bridge however anglers must hold a state salmon/sea trout licence. 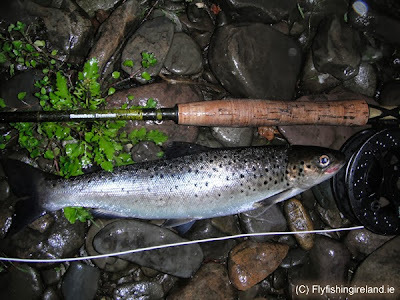 The moon phase on this particular night was perfect with a dark moon making prospects for sea trout fishing good. My choice of fly rod was the Snowbee Diamond 10 foot, 5-6 weight fly rod. 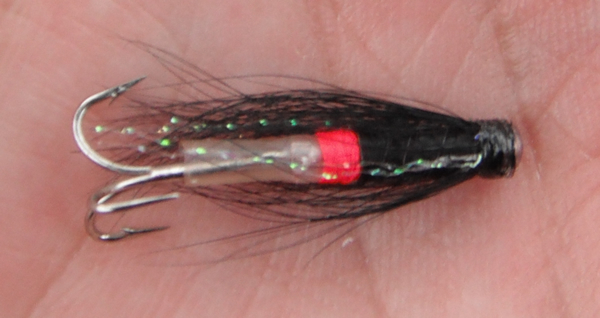 Perfect for sea trout fishing by night. 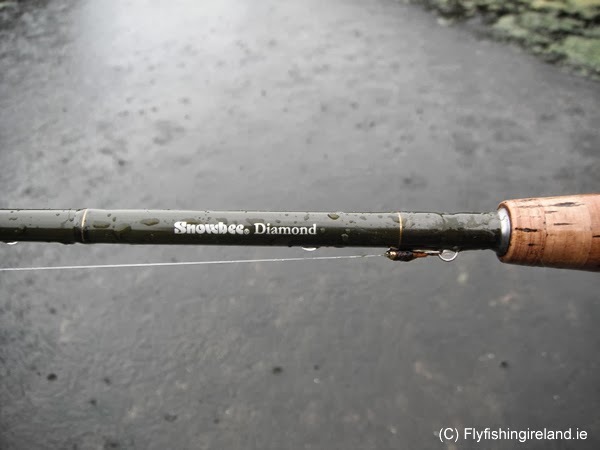 The rod is rigid enough to hook and play decent sized sea trout and summer peal while enjoying the comfort of being lightweight. I selected a few favorite fly’s from my main fly box for the night (Teal Blue & Silver, Bloody Butcher, Stoats Tail and black mini tube with treble) on 8pound clear mono tippet. I made my way below Innishannon bridge at dusk. The sun was setting nicely but the evening wasn’t dark enough yet, so I waited patiently for darkness to fall while I sat on a rock a kingfisher glided past and the the brown trout slurped flies off the top. A lovely August evening to be at one with the river and nature. Yes they were the unmistakable sounds of sea trout leaping. Wading down closer to where the fish jumped I cast across the river and began slowly retrieving the fly (figure of eight) up river against the current. Wallop… a good strong take and a fish was on the line. A good battle ensued with the fish making a few acrobatic jumps in the air before coming to the landing net. 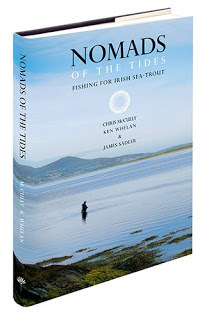 Nomads of the Tides: Fishing for Irish Sea-Trout. Damien Enright on a search for bars of silver. Newly-arrived visitors to Ireland, passing Inchy Bridge on the Argideen River at midnight, could be forgiven for drawing the wrong conclusions upon seeing a huddle of men in polaroid glasses standing about, hands deep in pockets or leaning on the parapet looking into the water below. Might it be a Timoleague family of the Sopranos sending an associate to "sleep with the fishes"? 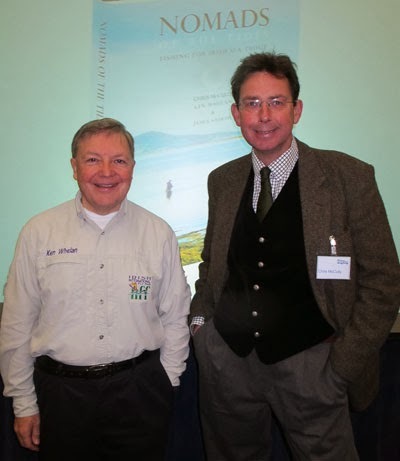 In reality, the shadowy figures are not menacing at all but a companionable society of dedicated sea trout anglers, decidedly non-threatening unless you happen to be a fish. Nightly, during the season, they leave the comfort of their firesides and set off into the dark, there to try, by subtle wrist-flicking and lure-dangling, to seduce clever fish to take their bait and join them on the bank. Sea trout are shy and anglers fish at night, casting flies over the murmuring waters by the light of the moon or, on moonless nights, in total darkness but for the river’s silvery glow. 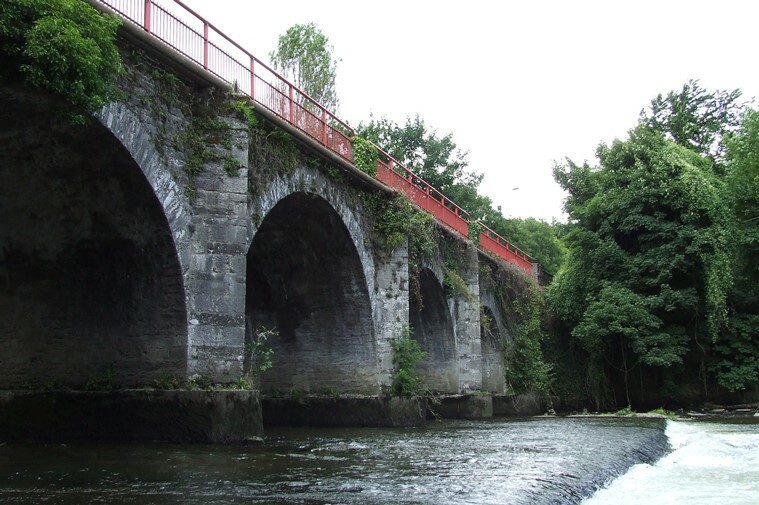 The Argideen is one of Munster’s premier sea trout rivers. It issues into Courtmacsherry Bay. Those living by the sea tend to forget the sweet tranquillity of inland waters. This was brought home to me when, one afternoon during our first week of summer in late July, a friend, Peter Wolstenholme, led us along the Argideen banks above Timoleague. A dedicated sea trout and salmon angler, he has fished the river by day and night for 20 years. From the start, we were amazed at the large number and diversity of the fish we saw. Firstly, in the lower reaches, mullet, dense shoals of large fish facing into the brown current, healthy and shining, singularly unlike the slow, grey mullet one sees cruising limpidly in the murky waters of the Lee below Morrison’s Island, in Cork. These Argideen mullet swim into the shallow river waters in June and sit there for months, no one knows why. 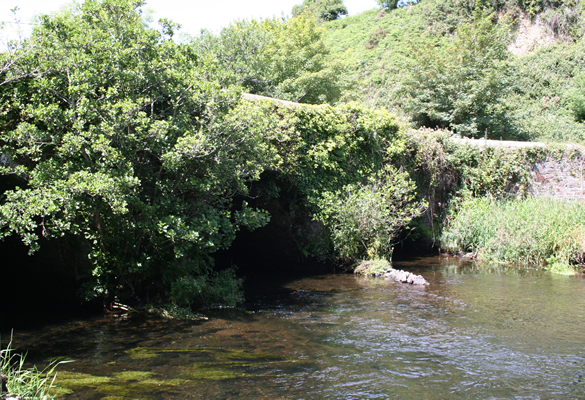 Walking upstream via dappled paths, we paused at pools and gravel beds created by the Argideen Anglers Association. Jewel-like damsel flies and dragon flies danced over the water. The banks were a-buzz with bees and a-flutter with butterflies, and the waters were awash with fish. I had no idea the river held so many and that they could be so easily seen. But then, I had never before searched its deep pools with the aid of polaroid sunglasses. In the deep pools, adult sea-trout could be glimpsed, lying on the bottom, their dark shapes and white fins visible when the polaroids cut the glare on the water. Closer to the surface, juvenile sea-trout swam in shoals. Sea-trout spawn in November, digging a depression in the gravel and depositing their eggs which are then fertilised by the male fish ejecting their milt over them. The eggs are covered and hatch into ‘elvins’, like tiny tadpoles. After two or three years in the river, these move into sea for feeding. Some return after a few months, weighing about half a pound. Others, "one-sea-winter fish", feed for longer and return weighing two to three pounds. 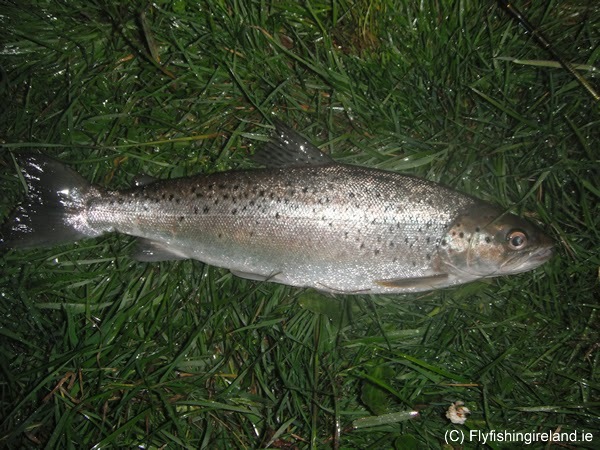 The adult sea trout go to sea in winter and the females return in May. They sit on the bottom until November, moving little and feeding not at all. Our guide told us the fascinating story of how spawn is made inside the female; he cut open a fish he’d caught the night before to demonstrate. Bright red roe spilled forth. From May onward, the females’ body fat transforms into roe so that, as the spawning time comes, they have pendulous bellies and hardly a pick of meat on their bones. The juveniles, with a mere teaspoonful of roe, also attempt spawning, lying between larger females whose potent and abundant eggs attract the milt of the males. 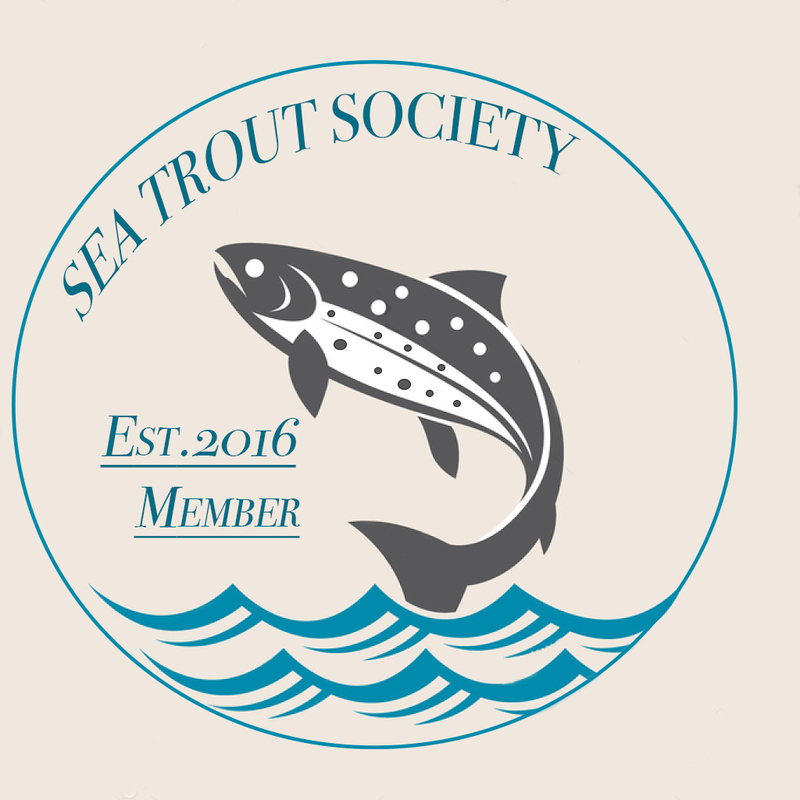 While roughly 50% of Atlantic salmon die after spawning, and 100% of some Pacific salmon varieties, female sea trout spawn year after year. 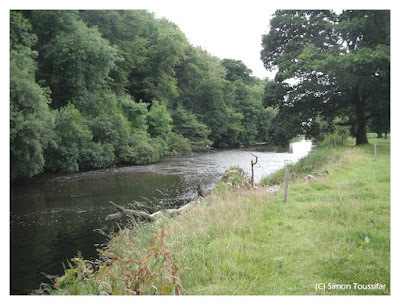 There were brown trout in the river too, and silvery minnows and salmon parr with thumb-print markings on their flanks. A kingfisher shot by, a bolt of iridescence through the shadows. We saw the dipper’s nest, but not the dipper: previously, I’ve seen these remarkable birds walk along the bed of the Argideen. Above all, we enjoyed the cool and dappled peace, and the river’s murmuring and twinkling in the sunlight. It must be other-worldly to stand silently on the bank at night, half-hypnotised by the flow, one’s mind lost in the arcane strategies of fish-luring.